Nick Darke | Cornwall For Ever! Nick Darke was a writer, a lobster fisherman, a wrecker and a politician. He wrote plays that used humour to explore serious issues affecting Cornwall and its people. Nick also cared deeply about the environment. Nick Darke o skrifer, pyskador legesti, gwrecker ha politiger. Ev a skrifas gwariow a dhevnydhya hwarthuster dhe hwithra maters sad a nas Kernow ha’y fobel. Nick a berthi bern down a-dro dhe’n kerghynnedh ynwedh. Nick was born in Wadebridge and lived in Porthcothan in north Cornwall. From the 1970s until his death in 2005 he wrote plays which explored Cornish themes like mining, fishing and tourism. Although Nick based some of his plays in the past, they feature issues affecting Cornish communities more recently. His play The King of Prussia is about the famous Cornish smuggler John Carter, who lived in the 1700s. 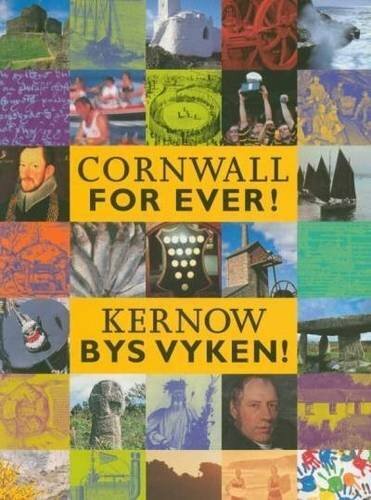 However, Nick used the play to also talk about Cornish society in the 1990s. Nick was also well known for caring about the environment, and in particular the sea. He would regularly walk the beach at his home in Porthcothan and collect items that had washed ashore. In Cornwall, this activity is called ‘wrecking’. Nick became interested in where the things he found on the beach had come from. Some items had travelled across the Atlantic from the USA or Canada. In 2004, Nick and his wife Jane made a film called The Wrecking Season about the things that they found on the beach. Nick helped to raise awareness of marine pollution. There are now many groups across Cornwall that remove plastic waste from our beaches. Nick died from cancer when he was just 56. The Nick Darke Award was set up by his wife Jane and Falmouth University in his memory. The award provides money to help writers over the age of 16.